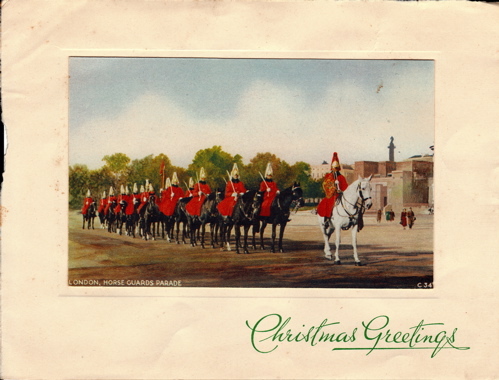 This entry was posted in Uncategorized and tagged Christmas, Horse Guards. Bookmark the permalink. I’ve very much enjoyed your blog since I discovered it a few months back. I look forward to reading it again in 2009 when I return from my in-laws. Merry Christmas!!!! I hope that you and yours have a lovely, restful, and joyful holiday. And may we all look forward to a grand new year. Here’s to a Very Merry Christmas from Homer and wishes for a Great New Year. Drinks on me on your next visit to DC.